Are you an Emerging Vendor? Have you just introduced a new product or technology to the channel? Reach over one million solution providers with your new offerings and extend your sales opportunity. 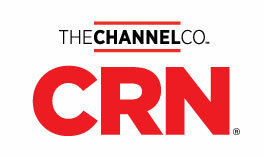 CRN's 2019 Emerging Vendors Directory is constantly referred to online (crn.com) and in print (CRN). Fill out the application below today and get your new product or technology in front of the world's leading Solution Providers. In order to qualify as an emerging vendor, a company must have been founded in 2013 or later, have less than $1 billion in annual sales and have an active U.S. channel strategy. If you were previously on this list and still qualify, you can resubmit for 2019. In order to make this years list, you need to apply again with updated information. Making the list in previous years does not prohibit a company from applying again this year. THERE WILL BE NO EXTENSIONS GRANTED. Please note that by deleting or disabling cookies, you will not be able to access your previously entered data. Application Note: In order to complete the application, you will need to upload a high-resolution photo of the company's lead executive, the top channel executive, and your mainstay product. The application does not need to be completed in one session. We have programmed the application this year to include a save button that appears at the top of each page which will allow you to save your work as you go. You will be asked to supply an email address and you will be sent a unique link that will enable you to return to the place that you left off within the application. Upon submission, you will receive a confirmation email, as well as a PDF copy of your application.